But anyways I want to let y'all know who won my 2015 blog anniversary giveaway!!! 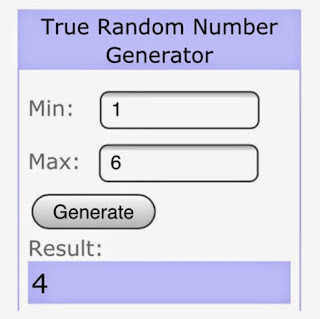 I used a random generator to pick my winner... I assigned numbers to all 6 people who entered, and the winner is number 4.... 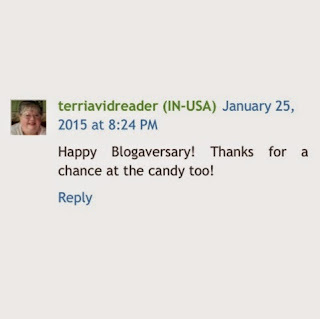 TERRIAVIDREADER!!! Thank you so much Grace, for offering candy in the first place (not many are any more) and also for choosing me (at a very low time in my life). I've sent you my info. I can hardly wait to play.